For wild nature lovers we offer exciting adventures in unexplored locations of Mongolia. Experiences that you have never experienced are guaranteed! Our czech company was estabilsihed in Mongolia 10 years ago. Therefore we had time to experinece Mongolia enviroment and gather all skills. We are ready to serve you all best what Mongolia can offer along with reliable guides and quality equipment.We all love advantures and fun, but take pride in safety. We always preserve interests of the Mongolian Nature and the people who live there. We are able to organize hunts for the ibex, gazelles and wild sheep, additionally also on wild pigs, deer and wolves and bears. Fishing on Ugi and Nuur lakes and rivers and Khuvsgul throughout Mongolia. Hunting and Fishing trips are planned according to your wishes. We will take care of you all trip long.We will help you with tranportation,hunt assistance and to prepare your trophy and schedule in the city. We would like to have enough time to listen your needs and wishes and plan everything securely. Please contact us at least 3months before your arrival to Mongolia. We are in mongolia over 10years. We know how to plan and schedule to serve you best of Mongolia country. Transportation from airport to Ulaanbataar, going through Ulaanbaatar, plan your route though Mongolia with offroad cars, booking tickets. All with our skilled driver. 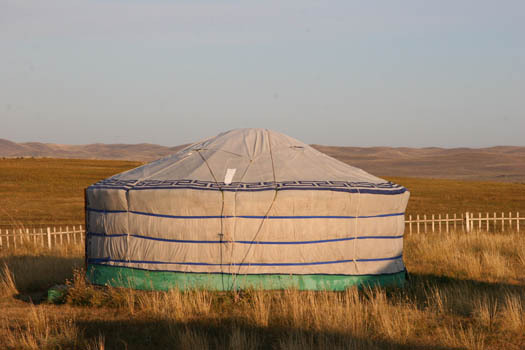 Hotels in Ulaanbaatar or during hunt trips in tents, yurt camps. You can get traditional mongolian cuisine, venison or fish at our trips. Non-alcoholic baverages is included! Registration is required two months in advance and require reporting the names, passport numbers, addresses, brands weapons, model, serial number, caliber and number of shells. Skull, horns and skin of shot animals is processed immediately in the field, so that it can be transferred. Preparing and processing export permits and veterinary certificates are included in the price. We offer accomodation in tents or in yurt camps. If you are interested, please contact our contact form.